Brayton Bailey powers to the basket. 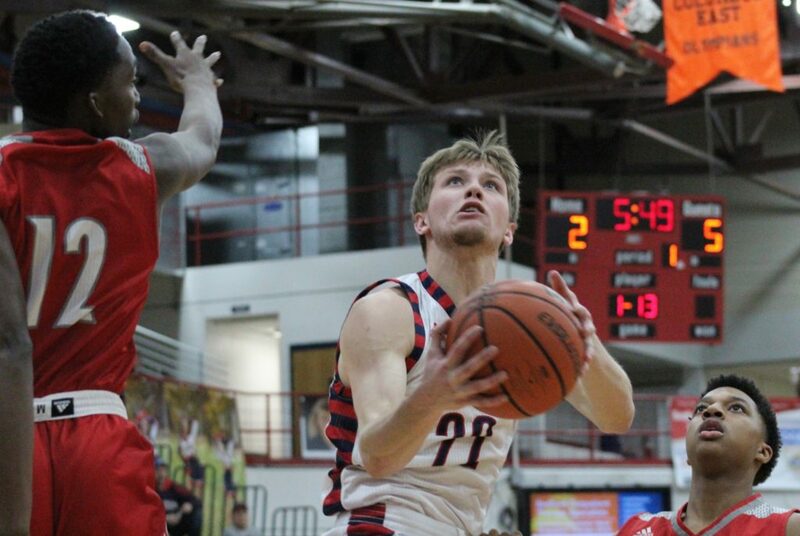 With 4 more points, BNL’s junior guard will become the ninth player in program history to score 1,000 career points. BEDFORD – During the 45 seasons and 1,047 games in Bedford North Lawrence’s grand history, only eight young men wearing the uniform have scored over 1,000 career points. That’s an exclusive club, a list that doesn’t include one of the Indiana All-Stars on the program roll call. Junior guard Brayton Bailey is poised to add his name to the register. With 4 points on Friday night, a likely scenario as the Stars (12-8) host New Albany (14-6) in BNL Fieldhouse, Bailey will write his name among the elite. That list is topped by his famous father, who holds the state record, so it’s rather appropriate the son will make history on Damon Bailey Court, with Damon on the sideline as a BNL assistant coach. It’s basketball’s circle of life. Damon, of course, set the standard with 3,134 career points. The rest of the list includes Kent Moutardier (1,469), Alan Bush (1,333), Braxton Day (1,233), Scott Turner (1,229), Joey Ray (1,112), Blaze Byrer (1,098) and Larry Ikerd (1,084). The 1K players preceding him are a diverse lot in terms of their abilities: Bush’s smooth perimeter stroke, Day’s lightning-fast slashing to the basket, Ray’s eye-blink release. Bailey’s way has not been as artistic. 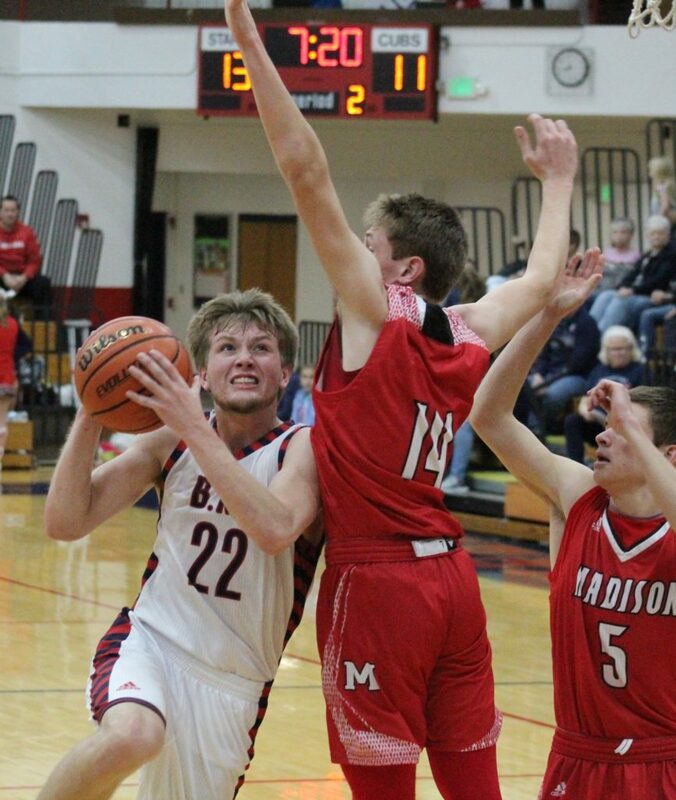 Since his 12-points, 11-rebounds debut against Brown County on Nov. 22, 2016, Bailey has been a fierce, powerful, relentless attacker of the rim, the reason his career shooting percentage is well over 50 percent. Bailey will join the 1K club in 69 career games with the Stars. None of the rest carried the pressure of following in Damon’s footsteps, to hear the constant, impossible comparisons. Brayton has never backed down. 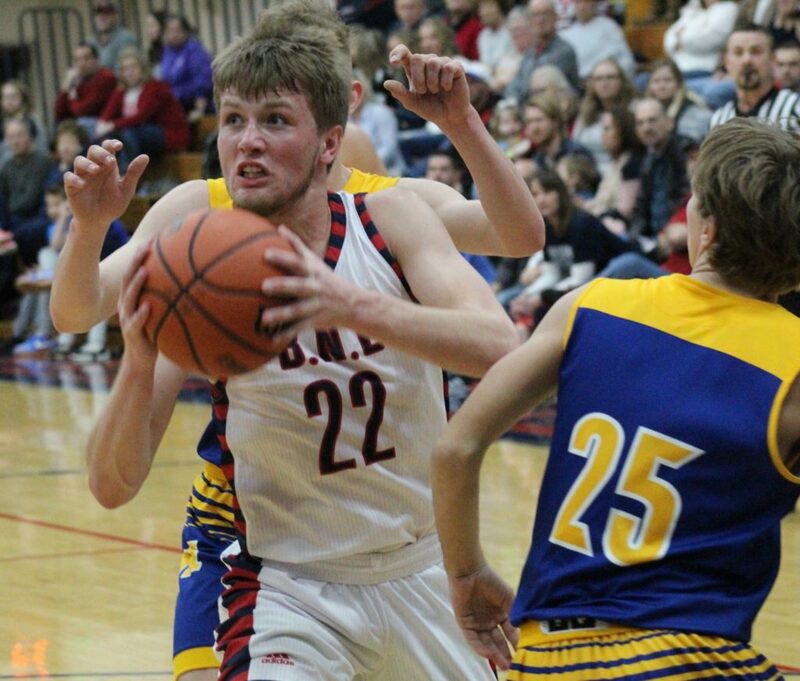 “It blows me away, how good he was as a freshman to handle that,” BNL coach Matt Seifers said. “That’s just amazing, what we put him through. “Now look at what’s he doing. His body is catching up to his brain. He’s able to do things that are just unguardable at times. With the maturity and approach he has, it’s unreal, to have that much poise and not let it get to him. Bailey, of course, grew up watching BNL basketball in all forms. His memories include the 2010-11 team featuring Alex Pritchett and Ryan Burton, plus the BNL girls teams captained by his sister Alexa and coached by his father. Bailey would often step into practice drills with that group, and Alexa cut him no slack. Probably toughened him even more. When he arrived at BNL, he was ready. Brayton was often a pass-first, score-second penetrator, although that mode has changed as he matured. His jumper was a weakness, but he has worked to make it solid, evidenced by the mid-range shots he converted with ease during the latest win over Brownstown. Bailey’s strength of game, and of character in the eye of an attention hurricane, has earned him admirers among opposing coaches. They respect his tenacity. Bailey is at his best attacking the basket, the reason his career shooting percentage is above 50 percent. “He gets people off their feet,” New Albany coach Jim Shannon, who went through the hype circus with Romeo Langford the last four years, said. “You think you got him stopped and he finds a little seam, he gets between or jumps over it. I love watching him play. I don’t know that I love competing against him, but I do love watching him. Brayton has taken 69 games to reach four figures. Damon did it in the middle of his sophomore season. In fact Damon had 972 points during his senior season. Bailey is currrently averaging 18.8 points. With continued success, and good fortune, he could climb to the ladder to second on the school’s scoring list. Nobody, at least not in his lifetime, is going to reach the top.